In order to ensure the results of the SHERPA project are being disseminated as broadly as possible and capitalised on, but also to engage as many stakeholders as possible in its activities, one of the first activities of the project consists in developing a target audience mapping (deliverable 2.1.4). This mapping will take the form of a database listing a number of relevant stakeholders pre-identified by the project’s partners. The purpose of this database is to easily identify relevant actors directly or indirectly involved in energy efficiency in buildings. Stakeholders' contact details will be made available on the Interreg Med Programme's web platform dedicated to the "Efficient Buildings" Community. • What is SHERPA’ s overall objective? 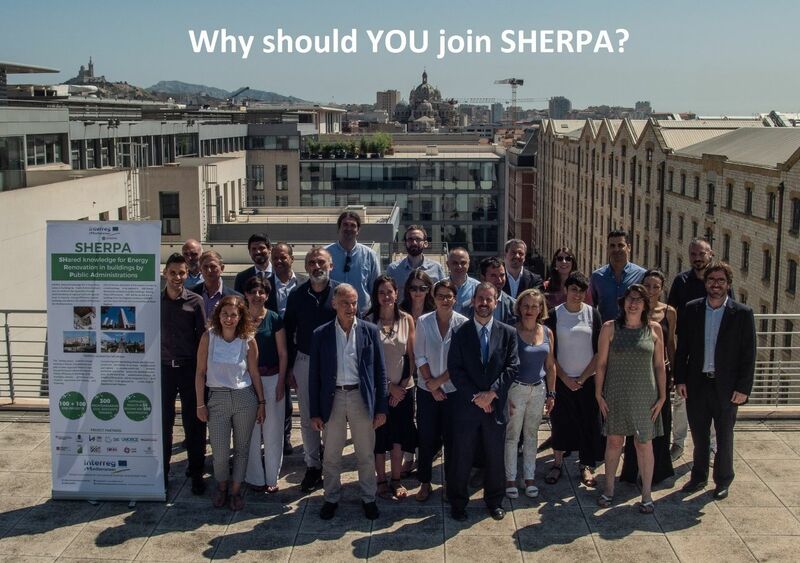 SHERPA aims to strengthen the capacity of public administrations to improve the energy efficiency of their public buildings. The project is developing and sharing resources on 4 aspects: decision-making and governance bodies for buildings' renovation; collection and use of information on energy consumption; awareness and training of experts and civil servants; schemes and resources for the interventions' financing. • Which advantages for public administrations ? SHERPA’s observers will have a direct access to the virtual classroom and the materials developed as part of its Training Working Group.